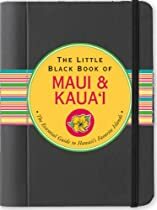 With maps and insider tips, this smart travel guidebook will lead you through the Aloha State’s most popular gems: Maui, the Valley Isle (and its smaller islands of Moloka‘i and Lana‘i) and Kaua‘i, the Garden Isle! Here’s what to see and do, and where to eat, drink, shop, stay, and play—from sun-drenched beaches to cloud-covered volcanoes, from posh resorts to wild emerald-green valleys. Includes “Top Picks”.10 maps (5 for Maui, 1 each for Moloka’i and Lana’i, and 3 for Kaua’i). Author Joanne Miller is a seasoned travel writer; she has written three Moon guidebooks, is a contributor to Eyewitness guides, Travel Holiday, and other publications, and visits Hawaii frequently.